Written by a team of professional painters, The Art of Painting in Acrylic offers a fresh, modern approach to an incredibly versatile medium. It's a comprehensive guide that's perfect for both complete beginners and intermediate artists who want to develop or polish their skills. 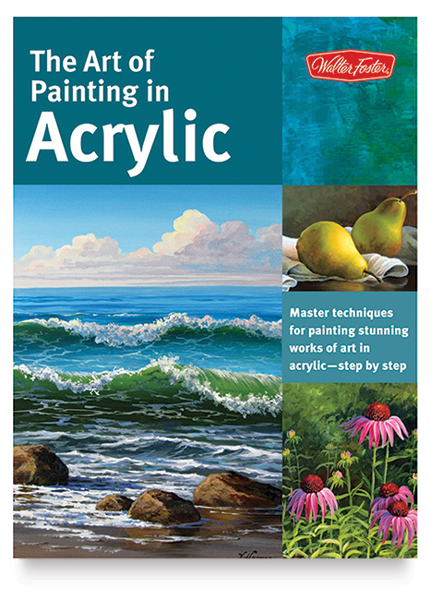 The Art of Painting in Acrylic begins by introducing readers to tools and materials (paints and brushes, supports, and mediums), simple color theory concepts, and basic techniques for drawing and painting. It then goes on to offer a series of fun and inspiring step-by-step demonstrations for working with this fast-drying paint. In-depth lessons cover a variety of subjects ranging from still lifes and portraits to landscapes and animals. Along the way, aspiring artists can discover insider tips and tricks for rendering various textures, setting up compelling compositions, achieving accurate proportions, and more. 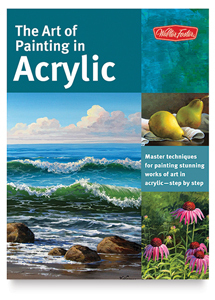 With a remarkable breadth of content and detail, The Art of Painting in Acrylic is a must-have resource for every artist's reference library. Authors — Alicia Vannoy Call, Michael Hallinan, Varvara Harmon, Darice Machel McGuire, Toni Watts, and Linda Yurgensen. Paperback. 144 pages. 8¾" × 11½" (23 cm × 29 cm).